The “Best Male Classical Crossover Artist,” has joined forces — this time in Spain and Asia — with his colleague and friend, Classical Crossover phenomenon and soprano Sarah Brightman on her much awaited Gala Tour this summer. This special collaboration brings Frangoulis back to Japan after several years where he performed with the Tokyo City Philharmonic Orchestra and guest soprano Maki Mori in support of his second Sony Classical release Follow Your Heart. Although he recently made it back to Asia in 2014 as the featured artist at Bangkok’s famous International Festival for Dance & Music, he is thrilled to be returning to Japan, and performing for the first time in South Korea and China. 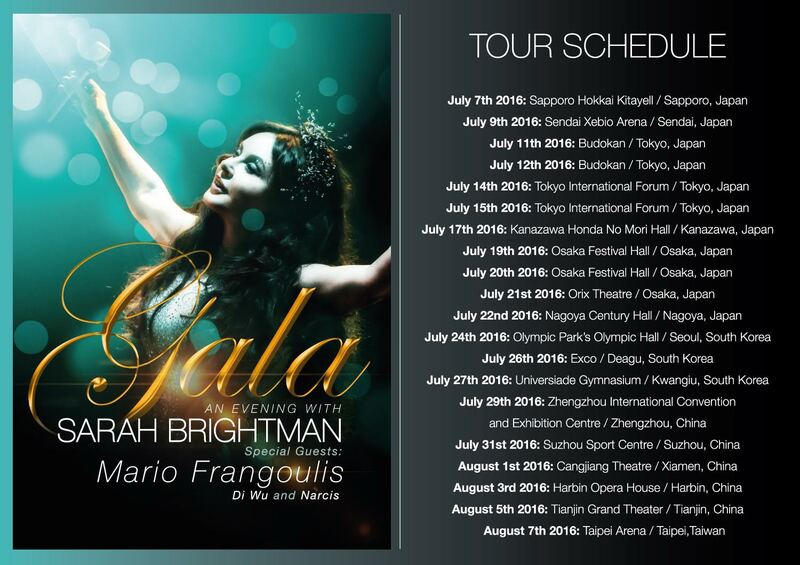 The Gala Tour features a Classical Crossover repertoire that Frangoulis and Brightman fans across Asia have been waiting for. The two artists will share incredible moments with duets like “Phantom of the Opera,” “Canto De La Terra” and “Carpe Diem,” recorded with Frangoulis on Brightman’s “Winter Symphony” album, which he also features as a bonus track on “Tales of Christmas,” his first holiday album released in 2015. Joining the two singers are pianist Di Wu, counter tenor Narcis, and maestro Paul Bateman, the show is directed by Anthony Van Laast. Frangoulis and Brightman share many things in common: both have deep roots in Musical Theatre, performing in Phantom of the Opera where Brightman originated the role of Christine Daaé and Frangoulis played the role of Raoul after playing the romantic hero Marius in Cameron Mackintosh’s Les Misérables. Both sing in over 6 languages, and both are pioneering artists in the Classical Crossover genre. They have also been featured artists at the Olympic Games (Brightman in Barcelona in 1992, Beijing in 2008; Frangoulis in Athens in 2004), cast on the theater stage and the big screen, and both have performed in the past with China’s beloved singer and songwriter Liu Huan! This formidable collaboration launched at the Starmus Conference in Spain, where the artists paid tribute to Dr. Stephen Hawking, along with some of the most acclaimed scientists, artists and thinkers in the world. The tour party has now arrived in Japan ready for their first performance on July 7, 2016 in Sapporo. 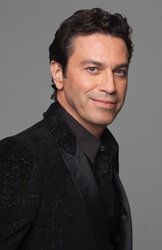 Mario Frangoulis’ fans have long been aware of his far-reaching talent – from musical and ancient Greek theatre to winning the Maria Callas and Pavarotti competitions to performing with world-renowned orchestras including the Boston Pops, Chicago Symphony, Dallas Symphony, Tokyo Philharmonic, and most recently the Philharmonia Orchestra.